This week has been fairly hectic due to personal reasons so when I found myself not sitting in front of papers (as was often the case this week) I'd catch myself daydreaming about my theory essay. The topic has changed to better fit the brief requirements and our lecturer was a real help when it came to sorting out the tangle of theories inside my head. 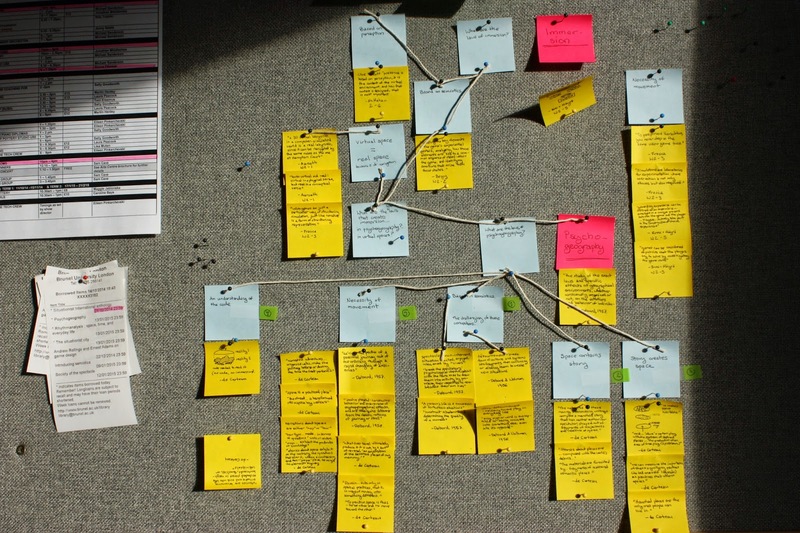 Most of them are now sticked up on what I've started calling my detective wall. The topic (as approved by Kelly): The role of spatiality in creating immersion in digital games. The real difficulty is going to be fitting this huge topic into 1500 words. In our games design class we practiced pitching a game in front of the class. Coming from an architecture background, there wasn't anything particularly new apart from the context. (And I do have to say, pitching a game so far seems much easier than pitching a building. Let's hope it continues that way.) We were asked to grab two games, mesh them together into a new one and pitch it to the class. In our team of three we created a co-op tetris with portals called Tortle! With an hour of time, some power point and photoshop skills we visualised some concepts of the game. Continuing from the rain generator in MMF from last week, I decided to try and apply the code learned from that demo to a version of Tortle. 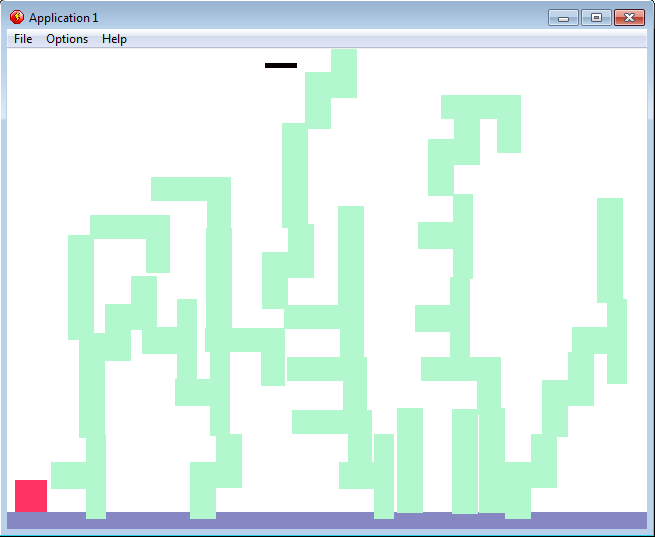 At first I started with a random generator of tetris blocks and a player that must get from one side of the screen to the other. As I was working on the events editor a second year pointed out a useful way to group objects together which saved me countless lines of code. 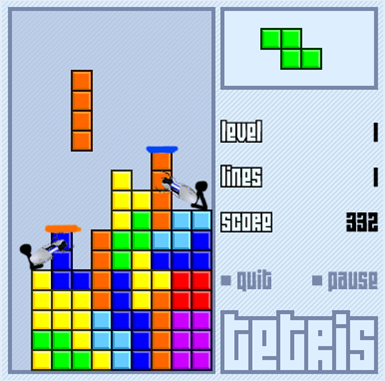 It took me a few hours to get the blocks to fall the way I wished to (as opposed to a very funny but useless pile of tetris blocks) and it is still far from being an engaging game. Adding sub-goals and skills might change that. But when it comes to MMF I'd like to instead point towards the Burglar game from week 1. 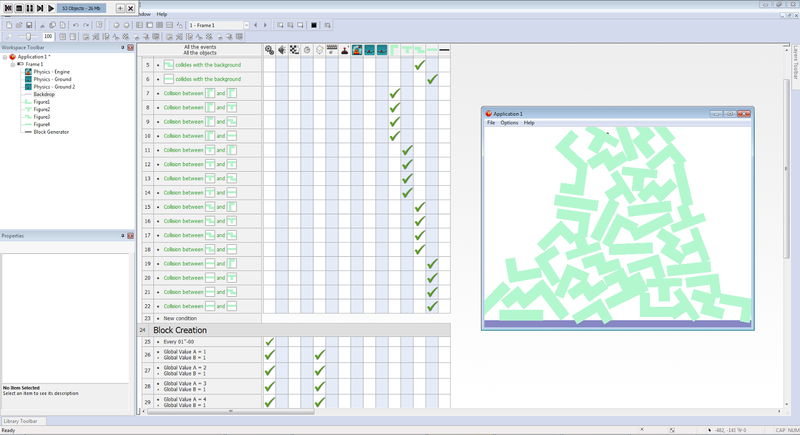 I have created a second version of the game. It's the same game but in third person. The code had to change quite a bit but as I play each version, I'm wondering just how different the games are as an experience. You can download and play both versions here. If you have any thoughts, I'd love to hear them! Lastly, this Saturday was spent in Canterbury, the town where I did my undergraduate in architecture. 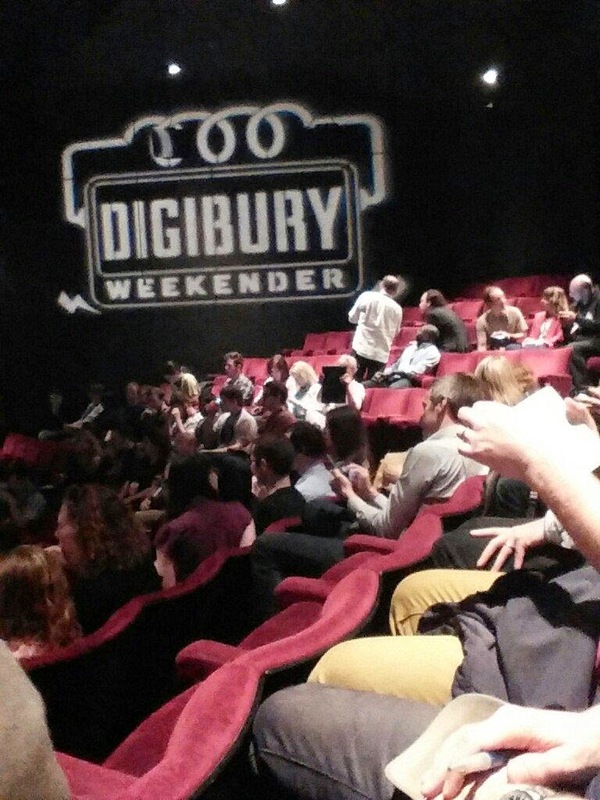 Three years ago I used to go to the pub once a month to listen to techie talks and network with local innovators at Digibury. Since then the event has grown and this year it was held at the Gulbernikan in Kent University, hosted by Robin Ince of The Infinite Monkey Cage fame. A quick run down of what happened can be found on my twitter though what I would love to highlight is how in Howard Griffin's talk on architectural visualisation, he used an Oculus Rift to walk people through Canterbury's Abbey. Those that have been following my blog since my second year in architecture school will understand my excitement at seeing architecture schools finally catching up with technology. All my best wishes to the course professors at Kent University! May you always stay innovative.